Dressers and Dining tables are what women desire the most in settin up a home. 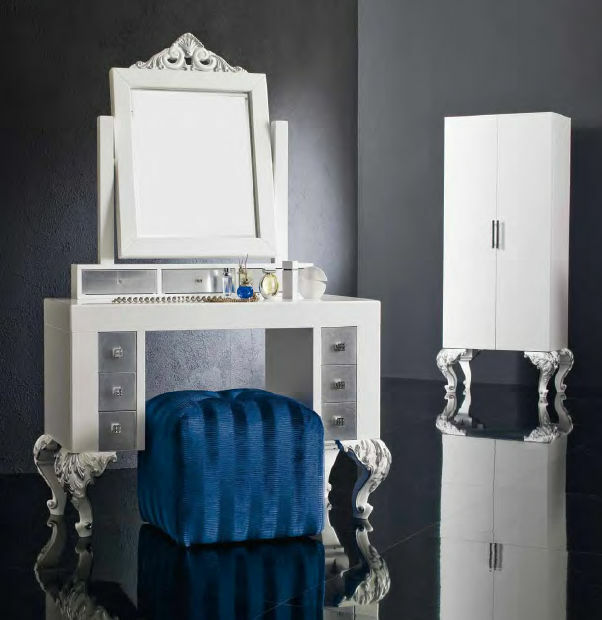 You don’t have to be Marilyn Monroe to possess a dressing table. It is every woman’s prerogative. And if you haven’t got yourself one already, you can successfully put together one. Who wouldn’t like a walk-in wardrobe, or a dedicated dressing room? No stress, if you are pressed for space. Work with what you have and create a lovely niche for yourself. Transform a centre table into a vanity zone. Prop a mirror by the wall as a mirror will complement the setting and the purpose. Add fresh flowers and your daily cosmetic supplies for the look to work. An interesting textured wall looks very stylish and adds a hint of glamour. The dining area is perhaps one of the most important zones in your home, given that it’s the one place that brings the family together. And so, creating a warm and welcoming ambience to make meal-times more enjoyable for your family and guests is imperative. 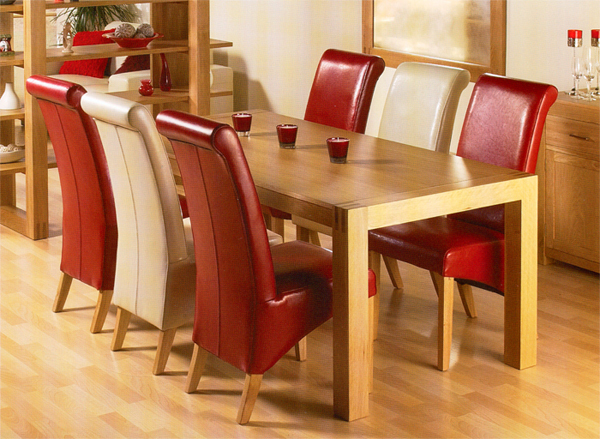 Today the market is flush with numerous designs for dining tables. Choose one, depending on your décor scheme. So, you could either create a space that oozes old-world charm with long solid wood tables, or go contemporary chic with the straight-lined and sleeker alternatives. With computers and the Internet now becoming an integral component of every household, working from home has become a global phenomenon. And it helps you save time, increase productivity and aids you to concentrate better. If you are serious about having your very own working space, there are certain things that you need to consider. Freeze on your workspace, because this is the important criterion while setting up your work base. A workspace should have abundant source of natural light and air and be located in an area with minimum traffic. Make sure that your workspace is large enough to accommodate all your office needs and it is well-equipped with gadgets, stationery, furniture and all other amenities that will make working from home hassle-free. Now, fix on a budget. The best way to tackle this situation is to chalk out your needs and then decide on a budget to limit your expenses. – A workspace should have access to ample natural light and air for better productivity. Low traffic is a must too. – Invest in a good laptop that comes packed with a speedy processor, large RAM and loads of storage space. – Invest in an external hard disc to store important data. – Opt for wireless modems or routers for a neat and wire-free look. Fabrics and furnishings are essential to the success of your decorating schemes. Décor add-ons in the form of furnishings can go a long way in putting together the look of your home. If you are looking to invest in furnishings for different areas of your home, the range is immense – right from printed, embossed, foil and laser cut to embroidery fabrics. Update your interiors by using slipcovers for your sofas, love seats or armchairs. Consider using fabrics that are washable and durable. The sheer variety will make for a visual treat. When used cleverly, soft furnishings can revive a much loved piece of furniture or even correct the proportions of the room. Ceiling to floor curtains lend an elegant look to large spaces. In smaller spaces, adopting such a style will overwhelm a space.